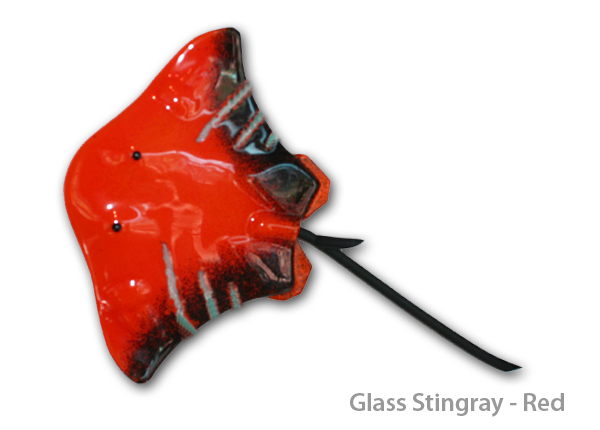 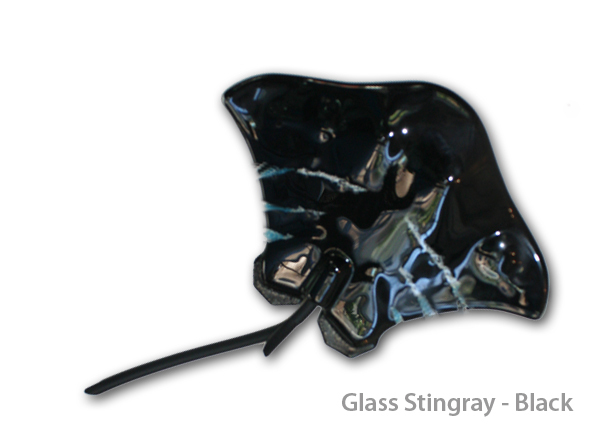 This glass stingray is made from 2 x 5mm sheets of plate glass fused together under lots of heat – a substantial item. 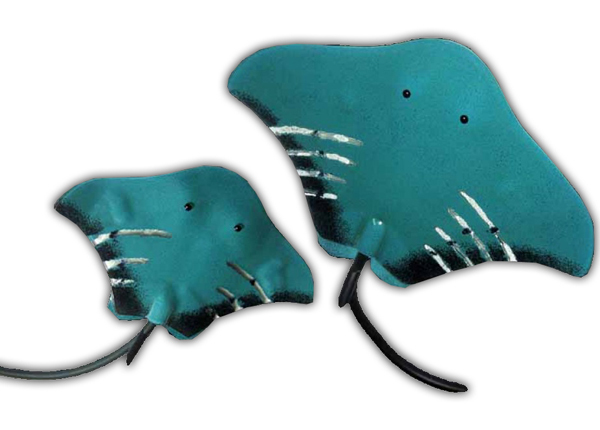 Easily hung from either side. 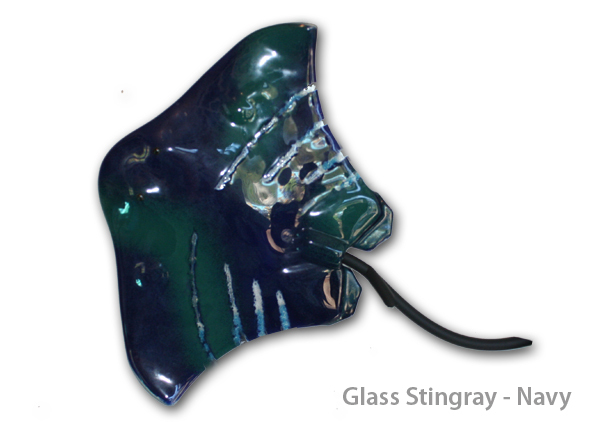 Comes complete with a plain white presentation box.